Campaigners against Charter Schools are making a critical media training mistake by focusing on a huge range of arguments rather than concentrating on a few major ones. One thing any reputable media training consultant would emphasise is the importance of narrowing your argument down to your top three messages in preparation for media interviews. This is not only for individual interviews, but on-going campaigns. When it comes to Charter Schools, everyone against them should be focusing on the same three points. This is the only way that people will understand AND REMEMBER their argument. In other words, tell people 10 things once and they will remember nothing, but tell them three things consistently and they will remember everything. This is something we focus on in our media training sessions. Not only is it important that only a few messages be highlighted in a media interview, but with the same issue, they should be repeated in other interviews and by other organisations. Those against Charter Schools have so far used lots of different arguments or messages. Here are some: Children at Charter Schools will fail because teachers may not be qualified, evidence says they don’t work, they won’t be under the same scrutiny as other schools, they won’t be as safe for students, they’re pointless if they don’t follow the national curriculum, it’s all part of the Government conspiracy to privatise everything, the risk is too great, they will only pick successful children and the list goes on. These are a few I saw after a quick skim of a few newspapers. 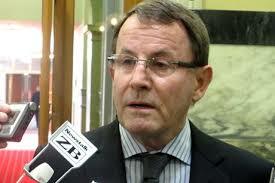 In contrast, those in favour like Act Leader John Banks have used a few clear messages consistently. These include: Let’s give Charter Schools a go because those failing couldn’t do any worse, evidence shows they work and, they are just another choice for parents to consider. Which one of those do you remember? By using these three points, those in favour of the schools usually get these points included in every story. And with everyone singing from the same song sheet, people are remembering this argument. But from a media training perspective, those against the schools are using too many messages for any to stick. This is exactly what happened with the National Standards debate. The Government’s major message was “We are bringing in National Standards because one student in 5 failing at school is not good enough.” Once again, that’s easy to understand, so people got behind it. But those against National Standards came up with a huge number of messages, many of which were too technical for parents to understand. That will be a big reason why the anti-National Standards people never got enough public support. This is a media training point that most people don’t understand, but it’s so important for anyone who wants to get a message across AND REMEMBERED. The best example of this was the last General Election. The Green Party campaign was focused on Jobs, Rivers and Kids. Can you remember what message the other parties had?